Yes, I have nine years until my son turns 10, but I already have a list of books for him in the future on my Goodreads page. The majority of them will be checked out of the library, but there are a few that will have to be bought so they can be pored over and enjoyed again and again. The first is The Street Beneath my Feet by Charlotte Guillian and illustrated by Yuval Zommer. It's important to mention the illustrator because he does incredible heavy lifting in the book. The Street has the coolest design I've seen in awhile: the entire book is one long, beautifully textured page that folds out on a journey through the earth and back out the other side. I learned so much about where things occur under the earth's surface. Who knew that rabbit dens are deeper than fox dens? The science is simplified and the text is conversational. I spent a good amount of time marveling at the gorgeous illustrations of the minerals. 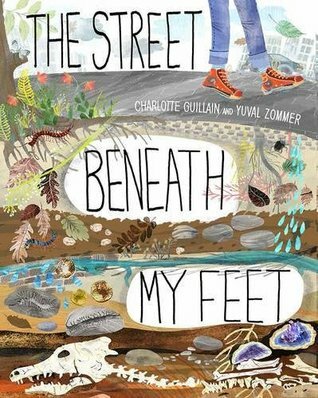 The Street Beneath my Feet is worth adding to every school library and having in your own home. It will be pulled out again and again. Lucy Letherland's Atlas of Adventures is the coolest. It is where children's bucket lists begin and I hope it opens my son's eyes to many potential adventures. 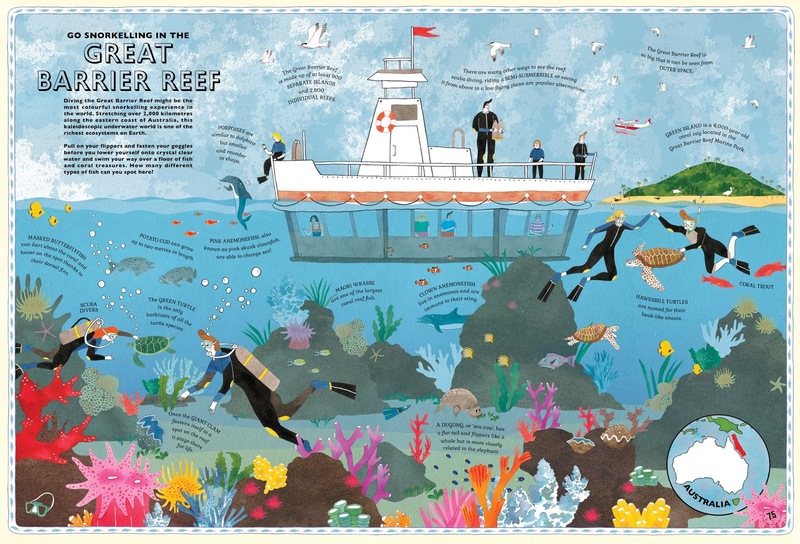 Featuring places around the world, each location gets a two-page layout with exquisitely detailed illustrations, full of fun facts and new vocabulary. I love the idea of asking kids to think about what they would add to this book. Are there any local adventures that they have had that could be added? What would the drawing look like and what facts would need to be included? 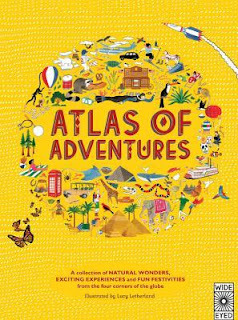 Between this and Maps by Aleksandra Mizielinska, young readers will be geographically inspired and ready to start planning future travels. Maybe I don't have to wait nine years to buy it. Maybe I'll buy it for my classroom (and myself) now and get it again for my son.